Looking to move from Philadelphia, PA to Boston, MA? 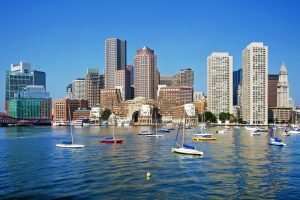 Boston is the capital and the largest city of the State of Massachusetts, with a population over 667,000. The city has a rich history that you can explore by walking the Freedom Trail, exploring old neighborhoods, or visiting Boston’s museums. It is also a great place to study as Boston has over a hundred colleges. If you are moving to Boston to study – or for any other reason – try using car transport services. At Philadelphia Car Transport we are more than happy to help you move your car from Philadelphia, PA to Boston, MA! It is true that a drive between Philadelphia and Boston is not the longest, compared, for instance, to a coast-to-coast trip. So, does it make sense to ship a car to Boston from Philadelphia? In many situations, yes, it does. First of all, if you are concerned about the safety of your vehicle, auto shipping is the most secure way to move it. Safety is especially important if you own an exotic or luxury car. Secondly, adding miles to your car’s mileage will decrease its retail value, and you can avoid that situation with auto shipping. If you decide to ship your car from Philadelphia to Boston, we are always here to help! We will move it door-to-door following all safety regulations. Our team will do their best to fulfill all of your requests and organize the shipping in the way that works best for you! Shopping around for auto transport quotes? Call Philadelphia Car Transport and get the best one! You can also request a free estimate online on our website and we will contact you back with a quote.